It’s July & its freezing right now!…..This month we are giving away a mini vodka & mixer pack to make your very own cocktail. So as usual when you spend $50 or more in the shop you will go into the draw to win. 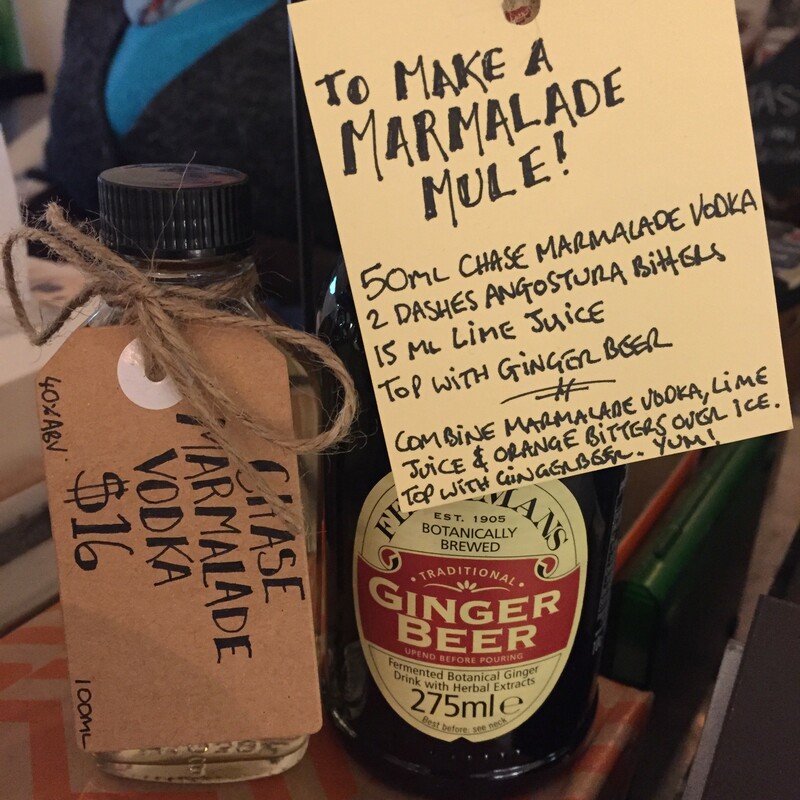 The prize consists of 1 x 100ml bottle of Chase Marmalade vodka & 1 x bottle Fetimans Ginger Beer mix the two with some lime & a couple of drops of bitters to make a Marmalade Moscow Mule Cocktail! (b.y.o bitters & lime juice) The winner will be drawn on the 1st of August, so get your entries in quick. Congratulations Jackie! You have won this months Prize!!! !